Taking care of your skin doesn’t mean you have to splurge! Check out these affordable skin care reviews from budget brands, and tips to glow on a budget. Is this superfood drink mix the answer to your skin care prayers? 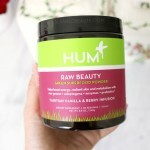 Read the review of HUM Raw Beauty Green Superfood Powder. Looking for a more travel-friendly way to carry face wash with you on a trip or to the gym? The Bliss Cleansing Sticks are the answer to your problems! Replace 6+ products in your travel beauty bag with 100% Natural Argan Oil. Discover all the ways to use Argan Oil on your face, hair and body. Ever get home from a night in the city, dreading going through your skin care regimen? 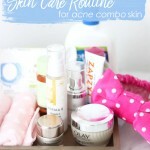 This quick & simple skin care routine will give your skin what it needs in a flash, on a budget! Check in on my updated skin care routine for acne combo skin-- these products have helped my skin stay balanced, clear and glowing. What's the deal with face rollers? 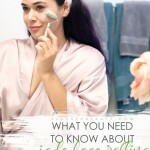 I've been testing the trend for the past several weeks, and want to share the benefits of using a jade facial roller! What is Ibotta and How Does It Save You Money? I've discovered a new app that's helping me save money on beauty essentials, groceries, clothes and more! 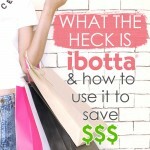 Check out why Ibotta is now a part of my shopping routine. 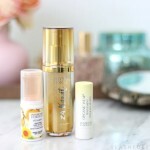 Do you reapply SPF over your makeup? 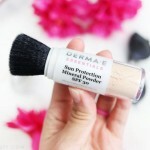 Here's the product I use that helps my makeup stay fresh, but also adds sun protection throughout the day! 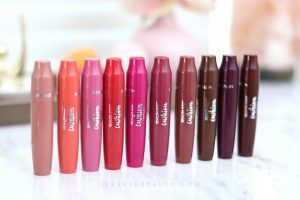 See my updated list for must have beauty products for travel! These help me keep my routine in order while out of town. Packing is the most annoying thing about traveling. I make it easier on myself by keeping travel beauty essentials in my suitcase at all times. See what I don't unpack. Are you wearing enough SPF this season? This year? Here's the easiest way to work it into your beauty routine: a dual purpose moisturizer! 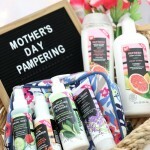 Check out the bath, body and skin care basket I put together for my mother in law for Mother's Day, featuring the new Walgreens Beauty line. 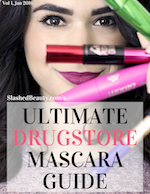 Take a look at the brand new Physicians Formula skin care, bringing some of the latest beauty trends to the drugstore for glowing skin.